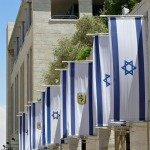 Jerusalem holy sites are the biggest attractions in Israel. This city has the greatest number of sacred sites than anywhere else on earth, places important to several major religions. 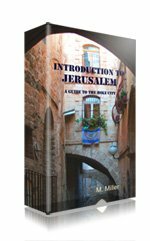 Jews, every denomination of Christians, Samaritans, Muslims – all of them hold Jerusalem dear. Pilgrims of all kinds have flocked here for millenia and they still do, every day. Whether you're looking for spiritual inspiration or are simply interested in the crucible of so much of Western culture, thought and literature, this is the place. 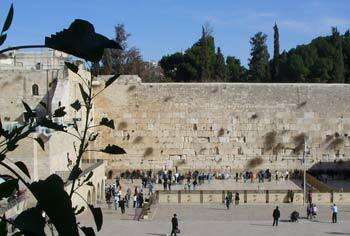 The Western Wall , the last remnant of the Second Temple , is the most holy site in Judaism. 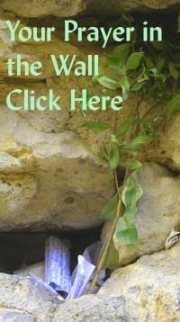 (For our free Western Wall Jerusalem prayer service: your personal prayer delivered for you to the Wall, click here). 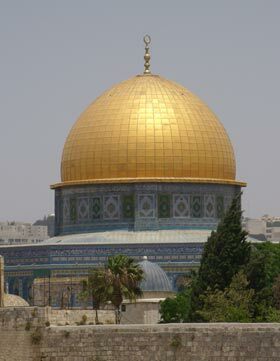 The most salient feature of the Temple Mount, a sacred place for both, Muslims and Jews, is the oldest Islamic shrine, the Noble Sanctuary, better known as the Dome of the Rock, along with the Al Aksa Mosque, the third most important mosque in Islam. 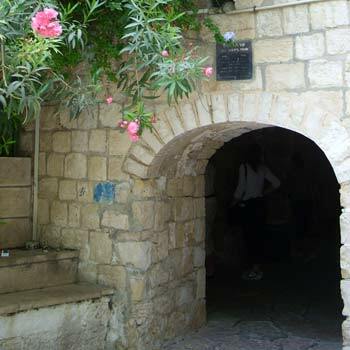 The Via Dolorosa is the street down which Jesus walked to his crucifixion. 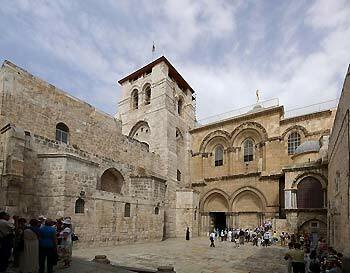 The Holy Sepulcher, the church built over Golgotha , is the most sacred site in Christendom. 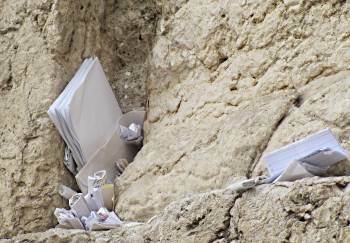 It's hard to separate the sacred and the mundane in Jerusalem. Many of the sites you will find listed elsewhere on this site also have religious elements to their history. Some Jerusalem holy sites are undeniably affiliated with a particular religion, such as the Wall, the last remnant of Judaism's holy Temple, or the Dome of the Rock, which is a Muslim shrine built upon the remains of the Second Temple, but many others are venerated by multiple faiths. Christian pilgrims who have visited the Holy Sepulcher and the sites along the Via Dolorosa will also want to follow the footsteps of Jesus through the major Christian Jerusalem holy sites listed here. 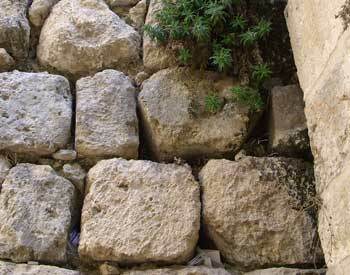 Known as Hakotel Hakatan - the Little Wall - this is the continuation of the Western Wall which is found near Shaar HaBarzel in the Muslim Quarter. It is usually a quiet, little known place of prayer. Once the glory of the Old City, then rubble, then for decades simply an arch in the sky, the Hurva Synagogue, rebuilt in all its grandeur is a triumph of the tenacious Jewish spirit. Located on the corner of HaToupim and Misherot Hakehuna streets, these four adjoining synagogues are open to visitors during daylight hours. On Fri. and Sat. open only for worshippers and prayer services. 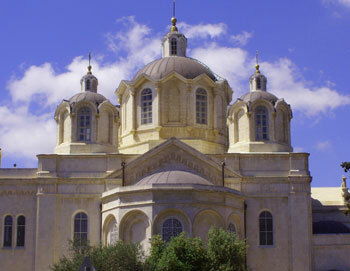 In the intensely insular Armenian Quarter, the church is where Armenians believe James, brother of Jesus, is buried. It boasts some stunning ceramics. Mt Zion, oddly enough, is not included inside Jerusalem's Old City. In fact, there is a legend that when the Sultan who had the walls built discovered that his architects had failed to include the mountain within the wall, he had them executed. The mountain top just outside the Old City walls is accessible from the Old City through Zion Gate, as well as by car from outside the city walls. This very small area is packed with notable institutions and Jerusalem holy sites, such as the Diaspora Yeshiva, spiritual home of the Jewish band of the same name and the Chamber of the Holocaust, Jerusalem's first Holocaust museum, a chilling memorial to its victims well worth the visit, despite its small size. It's a very different experience than the Yad Vashem Holocaust Museum. It is also, rather surprisingly, where you'll find the grave of Oskar Schindler, the hero of Spielberg's famous movie, Schindler's List, who has the ironic distinction of being the only known Nazi Party member interred in Israel. A great way to explore the history and lore of Mt. 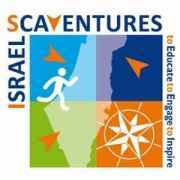 Zion if you are in small group, is to join "In the Footsteps of Kings and Prophets", a Jerusalem Scavenger Hunt designed especially for Christian pilgrims. This beloved Jewish pilgrimage site is probably not any more likely to be the real tomb of King David than the Cenacle was the site of the Last Supper. However, during the nineteen years between 1948 and 1967, when the Jordanians ruled the Old City and Jews were denied entry to it or to the Western Wall, the tomb became a magnet for people who wanted to pray as close to it as possible. They would climb on the roof, from where they could gaze in longing at the site they could not approach. For this reason, among so many Jerusalem holy sites, this very modest building holds a special place in the hearts of older Jerusalemites. Open Sat. to Thurs. 8:00 to 17:00; Fri. 8:00 to 13:00. 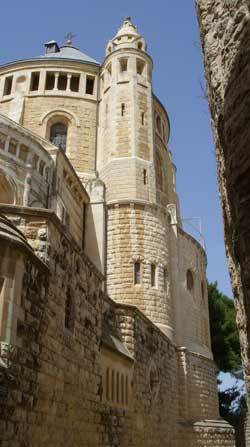 Also known as the Church of the Dormition, this imposing edifice is located right outside Zion Gate. The Mt. 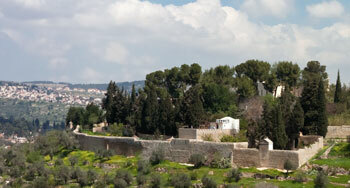 of Olives lies across the valley from the Old City and is a treasure trove of Jerusalem holy sites. According to Jews, Christians and Muslim, this is where the Redemption will begin. Jews have buried their dead on the Mount of Olives (Har Hazeisim, in Hebrew) and in the Kidron Valley below for thousands of years. 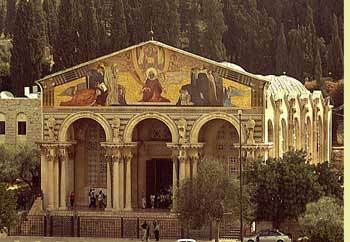 This is also where the Garden of Gethsemane is located, as well as Mary's tomb and at least four different churches that mark the place of Jesus' ascension to Heaven. 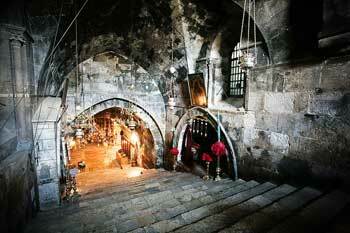 Deep underground, accessible only by steps carved from the rock in the 12th century, this, like many Jerusalem holy sites, is a multi-faith place of worship for Muslims and for Christians who believe Mary was buried (as opposed to those who believe in her assumption to Heaven). Open Mon to Sat, 6:00 to 12:00, 14:30 to 17:00. Also known as the Church of the Agony, this place of worship is open to the public during daylight hours. Built in the 19th century and topped by seven gold-platted turrets, this Eastern Orthodox church is also the burial place of Princess Elizabeth Feodorovna, who was murdered during the Russian Revolution of 1917. 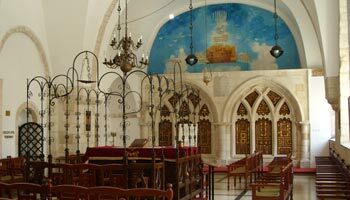 Jerusalem's main synagogue is also houses the Wolfson Museum of Jewish Art, considered one of the world's foremost museums of Judaica. 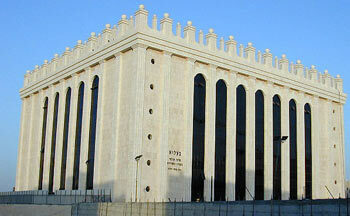 Located at 58 King George St.
One of the newest Jerusalem holy sites, the recently completed Belz shul is the world's largest synagogue, housing the world's largest Torah ark. This building is also a moving symbol to the triumph of survivors over Nazism. Tours by appointment only – call 057-319-6018. Part of the Russian compound built for Russian pilgrims in the 19th century, this is one of the most lavish buildings in Jerusalem. In the Russian Compound, 11 Helene Hamalka St. Open daily until 13:00 except Mondays. 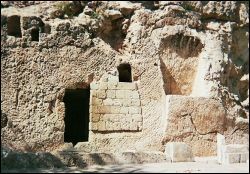 The alternative Jesus Tomb – for those who don't think that the Holy Sepulchre is built on the true Golgotha, this is the other candidate. Conrad Schick St. Open Mon to Sat, 9:00 to 12:00; 14:300 to 17:00. Ein Karem is a picturesque village nestled against the hills to the south-west of the city. 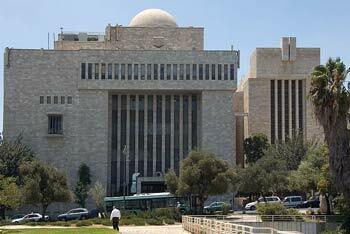 Today, it lies within the borders of the Jerusalem municipality. 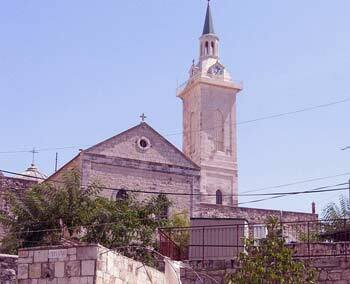 When the children of Israel entered the Land, Ein Karem was allocated to the tribe of Benjamin. They built mikva'ot – ritual baths – by the spring that still flows here today. The village now attracts well-to-do suburbanites and artists, and is home to a music center. It owes its status as a pilgrimage destination, however, to Christian tradition: this is where John the Baptist is said to have been born, and where Mary came to visit John's mother, her cousin Elizabeth. Located on Ein Karem St. Open Mon-Fri, 8:00 to 12:00; 14:30 to 17:00. Sunday, 8:00 to 12:00; 14:30 to 17:00. This is the convent of the Sisters of Zion, an unusual Catholic order of nuns who, instead of trying to convert Jews, teach love of the Jewish people along with the belief that Jesus and his disciples never intended to start a new religion. 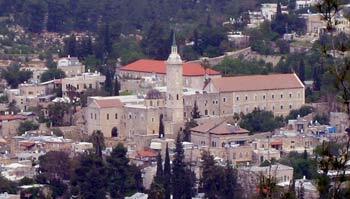 The order was founded in Jerusalem but now has convents all around the world. Soeur Emmanuelle, the famous Belgian nun known for her controversial views, was a Sister of Zion nun. There's a one shekel fee for visiting the gardens. The nuns also run a small, simple guesthouse on the convent grounds. While the accommodations are simple, the setting is ideal for a contemplative, pastoral retreat. Although they are technically out of Jerusalem, several more major holy sites can be found less than half an hour away. 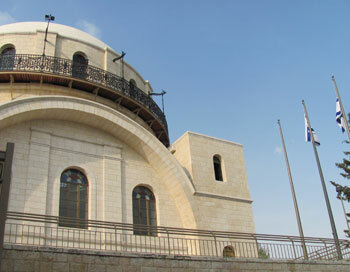 The tomb of the Prophet Samuel is a place of pilgrimage for both Jews and Muslim, with extraordinary views of Jerusalem. In Bethlehem, the Church of the Nativity, marks the spot of Jesus' birth and so is an especially popular destination for pilgrims coming to spend Christmas in Israel. Nearby is one the Judaism's most cherished holy sites: Rachel's Tomb. The city of Hevron is home to the Cave of the Patriarchs, where Adam and Eve, Abraham and Sarah, Isaac and Rebecca and Jacob and Leah - and Esau's head - are all buried. 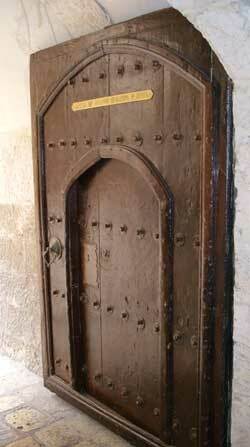 Jewish tradition tells us every soul passes here on its way to the next world, so this is a highly mystical place. Photo Credits: Holy Sepulchre by B. Werner; Heichal Shlomo by Martin Vines; Belz shul by sheynherz, all under a cc-by-3.0 license. Tomb of Mary by womEOS; Sister of Sion Convent by Flavio, both under a cc-by-2.0 license. St. John the Baptist Church by Sambach, under a cc-sa-by-2.5 license.